Japanese fighting dogs, as known as Tosas, fight in the special ring called the Dohyo. The events are held at a secret location on Kyushu Island, Nagasaki, Japan. 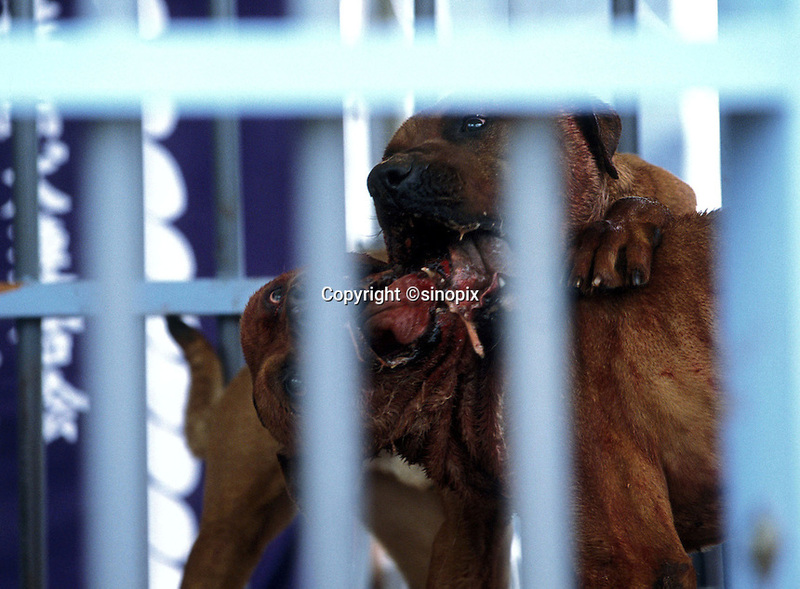 Japanese gangsters called Yakuza fund it and are heavily involved in the dog fighting..